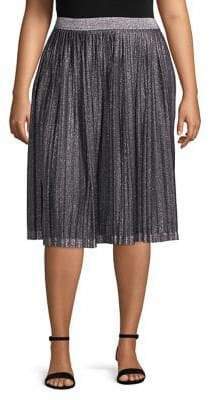 Plus High-Waist Skirt;High-waisted skirt with vented detail at waist. Banded waist. Concealed back zip. Lined. Polyurethane. Wipe with damp cloth. Imported. SIZE & FIT. About 25" long.